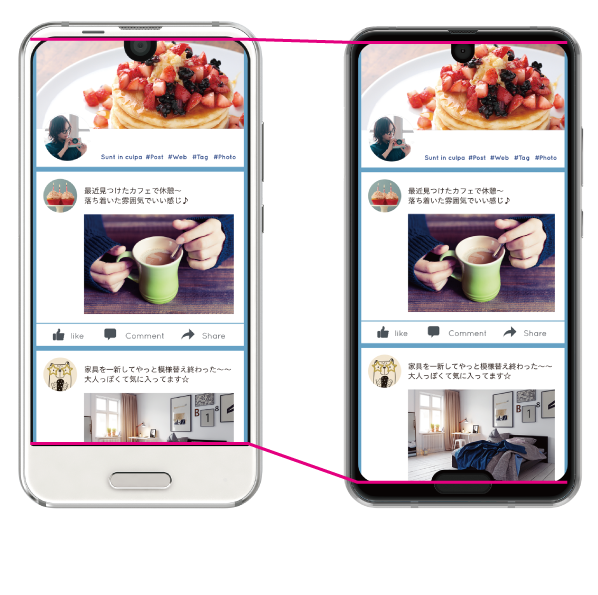 In the war of notches and bezels, Sharp has landed firmly on Team Notch with its upcoming Aquos R2 Compact. Yup, your eyes do not deceive you. That is a phone with two notches. The design is an update of last year’s Aquos R Compact—which, with its tiny camera notch up top and a thicc bezel for fingerprint sensing at the bottom, was no belle of the smartphone ball. This time around, Sharp is getting rid of bezels altogether and packing the fingerprint sensor into a bottom notch. Though, if you really think about it, Sharp has never been a fan of bezels—remember the mostly bezel-less beauty that was Aquos Crystal back in 2014? This is one of the first dual-notch smartphones we’ve seen—at least intentionally. A few weeks ago, a bug gave some Pixel 3 XL users an extra helping of notches. But if you’re worried that Sharp might spark a triple-notch trend, Google has your back. There is a strict two-notch limit for Android phones. Whether you love, hate, or feel entirely meh about the dual-notch design, the R2 Compact is packing some impressive guts in its teeny, tiny frame. It’s got a Snapdragon 845 chip with 4GB RAM, a 5.2-inch 2280-by-1080 IGZO LCD display, and it runs Android 9 Pie. It’s also got a 22.6 megapixel camera, 2,500 mAh battery, and weighs a relatively light 4.8 ounces. The phone is slated for release in January, but there are no details as of yet if (or when) we’ll see these dual notches in the UK.